When it comes to the topic of sugars, the majority of people in this country become confused and overwhelmed. Most consumers know by now that eating excess sugar is a bad idea; they know that too much sugar in the diet can cause weight gain, insulin resistance and diabetes. But ask them how fructose works in the body and which foods contain high levels and their eyes glaze over. 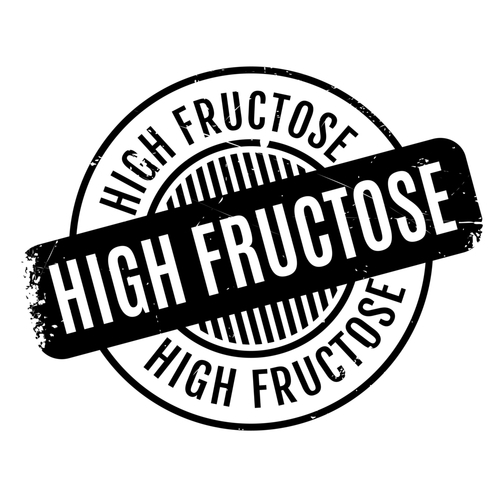 In this article we’re going to take a look at the reality of fructose and why too much is harmful to our health, the difference between glucose, fructose and sucrose, and which foods are high in fructose and should be avoided. Fructose, glucose and sucrose are what are known as “simple sugars” and all are important forms of carbohydrates. Sugars are of course found in whole foods and often added to processed foods to make them sweeter. Our tongues cannot tell the difference between the different sugars but it’s important to understand that our bodies use and process them all very differently. Let’s start with glucose because it is our body’s preferred source of energy. Glucose is another term for blood sugar. Most of the carbohydrates we consume are converted into glucose and either used immediately or stored for later use. When the levels of glucose become too high in our blood stream, inulin is secreted in response to help get all of that energy into our cells. Sucrose is commonly known as table sugar, and comes from sugar cane or sugar beets. Fruits and vegetables also naturally contain sucrose.When we eat sucrose, a special enzyme is dispatched by our bodies which break sucrose into its individual sugar units: glucose and fructose. Our bodies respond to the glucose in the usual manner, by using it immediately for energy; and the energy from fructose, which may not be needed, will be placed into fat synthesis, which is stimulated by the insulin released in response to glucose. Fructose is a sugar found naturally in many fruits and vegetables. It is also added to many processed foods like fruit juices and sodas. Fructose is very different from other sugars because it has a completely different metabolic pathway and is actually not the preferred source of energy for our brain or muscles. Fructose can only be metabolized in the liver, and it is more lipogenic, meaning fat-producing, than glucose. And, unlike glucose, fructose does not cause the release of insulin nor does it stimulate the production of leptin, which is a critical hormone for energy regulation in the body. The bottom line is there is cause for concern about consuming chronically high levels of fructose because it acts more like fat in the body than a carbohydrate. Now, fructose in small amounts has been in our species’ diet for thousands of years. The problem is modern man is consuming larger and larger amounts of fructose which is toxic to our bodies. Fructose cannot be used for energy by our bodies’ cells and can only be metabolized by the liver. In this sense, fructose becomes like a toxin in the body and the liver must then work hard to get rid of it. It does this by converting it into fat and sending it to our fat cells. It’s not surprising then that too much fructose can damage the liver and lead to insulin resistance and fatty liver disease. You may be surprised to know that fructose can have the same effect on the liver as alcohol, which as we know, is highly toxic to the liver. Fructose reacts with polyunsaturated fats and proteins in our bodies 7X more than glucose. This chemical reaction creates what are known as AGEs (advanced glycation end-products). These are compounds that create oxidative damage in our cells and ultimately cause inflammation and a host of chronic diseases. Fructose actually increases the levels of uric acid in the blood. 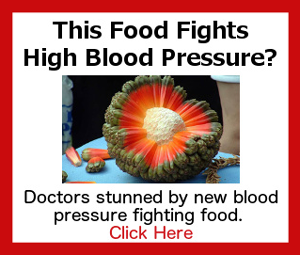 These increased levels in turn cause gout, kidney stones and cause or worsen hypertension. Under the category of lose/lose: while the majority of your body’s cells cannot use fructose for energy, the bacteria in your GI tract LOVE it, feed off of it, and multiply until you have a bacterial overgrowth. Because chronic intake of too much fructose damages the liver, the result is dyslipidemia, a condition that causes abnormal amounts of lipids in the blood. Dyslipidemia is a precursor for heart disease. High levels of fructose cause leptin resistance which is a very bad thing because the hormone leptin controls appetite and metabolism to maintain a healthy weight. People who become leptin-resistant gain fat easily. Excess fructose can cause diabetes and the complications that go along with the disease. Like GI bacteria, cancer cells feed off of fructose and use it as their energy source. Excess fructose has been shown to impair memory in rats. The fact is, sugar of any kind is one of the most detrimental substances you can put in your body. Yet the Standard American Diet teaches us to fill our bodies with excessive carbs on a daily basis. The situation is so widespread, one study found that nearly half of adults in the U.S. have diabetes or pre-diabetes! So How Do You Protect Yourself From Blood Sugar Issues? Unless you are diligent about reading labels, you are most likely unaware that many sauces and toppings contain high levels of fructose. Foods such as sweet and sour sources, fruit salsa, barbecue sauce and many salad dressings. There are “fruit” toppings that actually have added fructose that should be avoided. Toppings such as strawberry, pineapple, blueberry and apple ice cream toppings should be avoided. Jams and jellies also have high levels of fructose and should be consumed in moderation. Most processed drinks on the market like sodas and fruit juices contain high levels of fructose. Sweet wines like port, sherry and other desert wines are also loaded with this sugar. Along these same lines, drink mixes also contain high amounts of fructose. Some sports drinks that appear healthy contain added fructose so always read the labels. Much of the prepared foods on the market today contain fructose, even foods that don’t necessarily taste sweet. Condiments such as ketchup, sweet pickles, peanut butters, frozen foods, breakfast cereals, canned foods, bread and crackers usually contain high levels of fructose. More obvious prepared foods like pastries and chocolate contain very high levels of fructose. Making sure you eat foods low in fructose is important to your overall health. The easiest way to do this is to read the labels on your food and eat as many whole, unprocessed foods as possible. If you want long-term protection from blood sugar issues, you must re-train your body so it no longer depends on excess carbs and sugar for fuel. You see, when you’re constantly eating carbs to give your body energy, it responds with wild swings of blood sugar spikes and insulin surges. This causes a constant flow of insulin flooding your system, eventually causing you to be insulin resistant. But what if you could train your body to use stored glucose, or fat, to use as energy? This presentation reveals our top 30-second trick for instant blood sugar control. If you would like more information showing you how to do this step-by-step, watch this free video presentation. I really appreciate your excellent usefull article . It is very wise medical guide informations. Please , keep me updated with all health news . Believe l have been unable to cure my recurring infection became of high fructose intake in fruit thought was good .